A couple of months ago I checked in with my friends at LeapFrog. Bean has a LeapReader that she loves and Turtle adores his Read With Me Scout. I’ve always been a believer that literacy should be taught in a multi-faceted way. I think that for literacy growth that children should read to themselves, read out loud to someone else, be read to, write their own stories and play learning games. These are all things that we have encouraged Bean to do, and are in the early stages of teaching Turtle to do. LeapFrog and their literacy toys have been excellent tools in helping Bean’s literacy grow in leaps (no pun intended) and bounds. When I checked in with LeapFrog I asked them what was new and exciting in the LeapFrog world and they told me about their new LeapTV. We’ve never really encouraged the kids to play video games (though the Hubs often stays up late playing PS3). I’ve heard great things about the benefits of video games for kids (all things in moderation here folks) including hand eye coordination, problem solving and critical thinking. I knew that if anyone could make a video game system that is fun and educational (but in a way that kids don’t even realize it) that it would be LeapFrog. The kids got their LeapTV for Christmas and we’ve spent the last couple of months playing with it and testing it out. Their games are available in cartridge form or as digital downloads. I love this because it means that I don’t have to run to the store and hope that they have the game that I want in stock. They have games available in bundles. 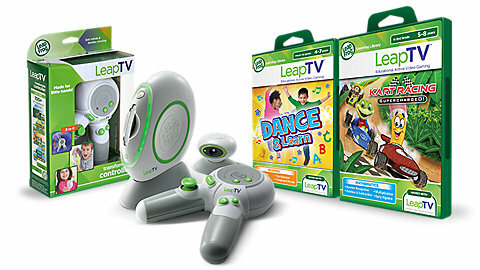 What’s better than one LeapTV game? 3 LeapTV games! LeapFrog often bundles their games so that you can get 3 games for the price of one! The games aren’t played sitting on their bums. The LeapTV has a camera that you mount to the top of your TV. The camera tracks your child’s movement and they have to interact with things happening on the screen. I love that the games get my kiddos moving even when we are stuck inside on a rainy day. The games are educational. Slinging webs like Spiderman, bobsledding with Sophia The First, popping an ollie with Tad… sounds fun… but educational? Yep! 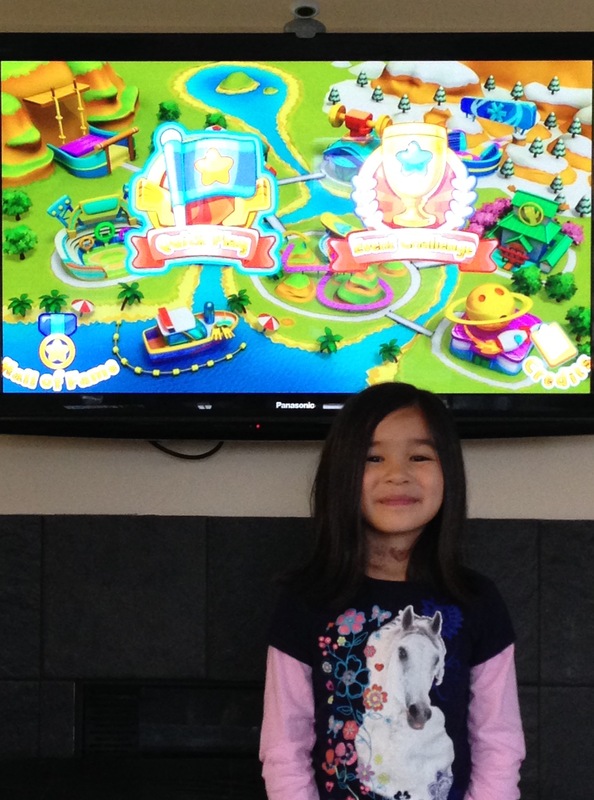 The LeapTV has you doing math, science, spelling and reading in order to pass each challenge. They know and love the characters. 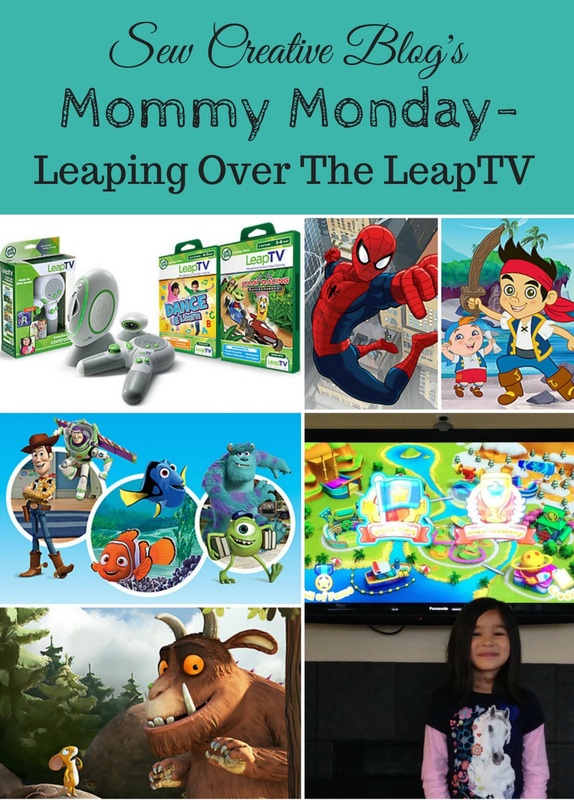 Paw Patrol, Bubble Guppies, Sophia the First, Spiderman… LeapTV has games with all of your kids’ favorite characters. The games are fun and there is tons of variety- bowling, skateboarding, dancing, sledding, racing, taking care of pets, performing rescue missions, flying a pegasus and more! They think it’s TV time! They don’t realize that mom’s secretly happy that they are playing their video game because it’s educational. It’s made for their age. The games on LeapTV are just challenging enough that they don’t get bored but easy enough that they don’t get frustrated. You can also download educational videos to the LeapTV, including The Gruffalo, Yoga Kids and Sesame Street! Tell me… Do your kids play video games? What do you think are the pros and cons of kids playing video games? Thank you to LeapFrog for sending my kiddos a LeapTV to test out. As always, all thoughts and opinions are 100% my own. I never endorse something I don’t love.